The 2016 Dodge Charger remains to be a formidable contender in the full-size sedan market. Car authorities are often seen giving it excellent raves, even ranking it within the Top 10 vehicles in its category. If you’re after a ride that can speed through the racetracks and cruise around the neighborhood, then this one’s for you. Different drivers definitely have different tastes when it comes to styling their rides and the engine options that go with every model. 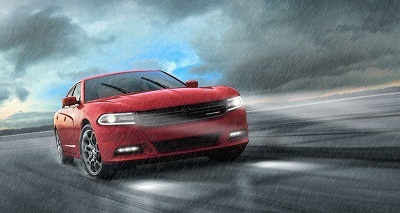 The 2016 Dodge Charger is offered in several trims like the RT, SRT, and SXT, each adding its own distinct flavor to the motoring scene. If you want to go bold with your color choices in this sedan, you can go for Go Mango, TorRed, Plum Crazy, and Jazz Blue, to name a few. Wherever you drive, you will surely grab the attention of every passerby. The blog article originally appeared on VivaChryslerDodgeJeep.com blog page. Posted on December 18, 2016 by CedrickPosted in BusinessTagged cruces, dealership, dodge, las, presents.